your wings for Free Spins! Mobile gambling is a big market: Analysts even think that it may become bigger than the “regular” gambling market in 2020. The biggest mobile gambling games vendors are 888 Holdings, Bwin.Party, and Ladbrokes. 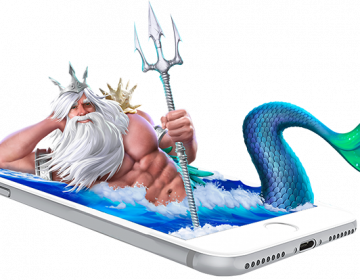 If we make a general assessment, we can say that the new generation of players has shown more interest in mobile games, and the old-school players demand more classical applications. In this context, social media platforms were very useful for mobile casinos. Even housewives began playing slot machines on Facebook. As the number of customers has increased rapidly, and the new generation have opted for casual, simple but rewarding games, providers have also begun to develop games with these features. Nowadays, it is possible to see providers that only develop mobile games and do not have desktop applications. The history of mobile gambling is older than you think. Before there were mobile operating systems like iOS and Android, mobile casino games for “Nokia” were available. In fact, the first known example of these games is a mobile slot UK, named “Pub Fruity”. That game was developed by Vodafone, released in 2004, and became insanely successful. It had even multiplayer gambling support via WAP. Mobile games for Java-based devices were plenty, and they consisted of card and table games. Before iPhone 3G and before touch-screen devices, people were able to play mobile casino games with their “primitive” phones. At that time, the games were developed by service providers such as AT&T and Vodafone. Traditional gaming suppliers have not yet been aware of the existence of such a market and have focused on desktop applications. The first company to discover the potential in the market was Microgaming. It created a department called “Spin3” and started to develop mobile games for service providers. 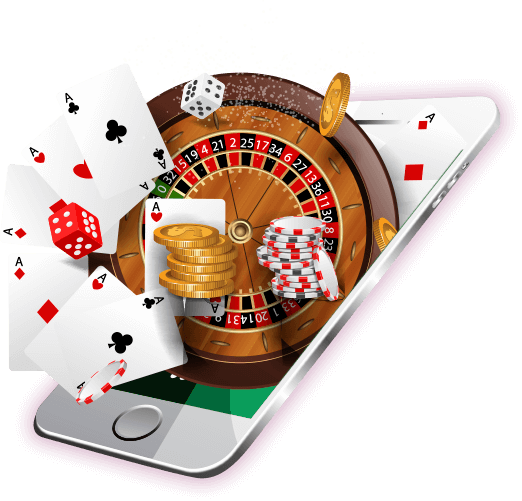 In this regard, Microgaming became the first mobile online gaming provider and has developed numerous applications that work on Java platform. Most of them were in the categories of table and card games. In the 2000s there were mobile casino sites, but mobile phones could not view these sites without errors. HTML technology was still in its infancy and did not have advanced features. Adobe has realized that with the Flash application, it can fill this gap of HTML. The applications developed on the Flash platform worked seamlessly in almost all operating systems. Meanwhile, other providers have recognized the importance of the mobile market and have begun to develop games. The company that developed the first real mobile casino application using the Flash platform was mFortune in 2007. (This casino is still active today.) It developed a mobile application with the same name and offered 11 games in different categories. This application was downloaded by over 1 million people in a very short time. Other providers have begun to develop games using Flash. At the beginning of the 2000s, the vast majority of mobile games on the market were working on Flash platform. In 2008, when the iPhone 3G was launched on the market, it announced that it would not support Flash due to security issues. This was ignored at first because nobody expected iOS to be so popular. But within a short period of time, it became clear that the Flash platform was indeed causing security and performance problems, and providers began looking for a new platform. HTML5 technology emerged at the beginning of 2010: Applications developed using this codebase can run on any operating system without any performance loss and any security risks. For the last 8 years, almost every mobile casino game has been developed with HTML5 and includes both advanced features and advanced graphics. You no longer need to change the operating system of your device to play a game: You can run all applications seamlessly, whether you use iOS or Android. As you can imagine, first you need a portable device. However, you are not limited to cellular phones: As long as it is portable, you can use all devices (i.e., tablet PC). As a general rule, it does not matter what the operating system is. So you can use an iPhone or an Android tablet – it is up to you. However, remember that many games developed before 2010 run on the Flash platform. These games will not work on iOS devices. (They still work on Android devices.) Fortunately, the number of such games is rather low, and there is no reason to prefer them except for nostalgia. After that, you should decide what kind of gambling experience you want. 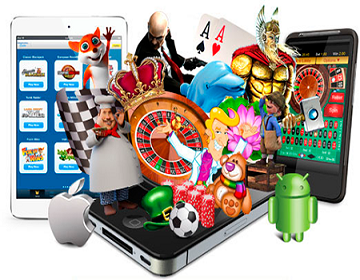 Mobile casino games can be delivered within an app or through mobile versions of websites. You can find and download apps from the marketplace of your device. But do not forget that most of them will not provide support for real money gambling. If you are not allowed to gamble in the country you live in, you cannot see the applications of games played with real money in the market. We can say that iOS users are unlucky in this regard because Apple does not provide third-party application support. (That is, you cannot install apps from outside the App Store.) Therefore, if you are a citizen of a country where gambling is prohibited, your options are rather limited. This is also true for Android users, but they are luckier. This is because it is possible to install external applications on this operating system. This means that apps can also be installed from sources outside the Play Store. All you need is an .apk file, which you can find on online casino sites. Thus, it is possible to use applications that give real money support without being restricted by the laws of the country you live in. Using the mobile version of the online casino site (the most practical option for all types of devices). No need to install an app to use the third option: Open your mobile browser, enter the address of the casino and press “go”. 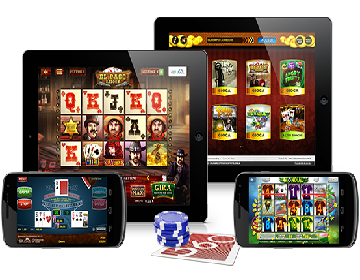 Casino sites are now encoded with HTML5 and promise a seamless experience on all devices. You can even do everything you do on the desktop version, for example, you can deposit and withdraw money. If you are an iOS user, it is not important what your device is. For example, iPhone 6 and iPhone 8 will give you almost the same performance in terms of gambling. The reason for this is that iOS devices are built and optimized for the fixed hardware. So, whatever your device model is, you get the same performance. Android users are unlucky in this regard. Android is a system that can work in different hardware configurations. There is no pre-determined and fixed configuration. For this reason, if you’re using an Android device that costs $ 100 or less, you may experience some performance problems. Especially in slot games with advanced graphics, there will be some frame drops. However, you are unlikely to experience a problem with devices that cost more than $ 100 and have at least 2 GB of RAM. Moreover, you have a feature that is not available to iOS users: The possibility to play Flash-based games. There are several advantages of mobile gambling. Play Anywhere, Anytime. You are not limited to your house and computer when you want to play games. Mobile devices are portable and they go wherever you go. You can use them even when you are joy walking. You can turn a boring bus trip into a gambling adventure via mobile devices. You can play with slots and win while on a break in your office. The possibilities are limitless and you decide where and when to play. Enjoy More Bonuses. Online casinos offer additional bonuses to mobile gamblers. For example, lately, many casinos stopped offering no deposit bonus campaigns to desktop users. However, mobile users can still benefit from them. Moreover, they get to benefit from bonuses of desktop users too. So overall, they get more advantages. Immersion. Playing a casino game on a portable device is a very different experience: Controlling the game with your fingers is more immersive than a keyboard & mouse. You feel more in control, and the overall experience becomes more fun. They Are Faster. Switch on a computer, wait for it to boot, open your browser, wait for the game to load… Desktop gambling takes a long time. It even becomes boring at some point. Mobile gambling, on the other hand, is much faster and practical: Games load in mere seconds and you don’t need to waste time to play them. You can start playing (literally) in seconds and resume playing anytime you want. Providers Love Them More. The truth is, mobile games are the future of online gambling industry. More and more providers prefer to focus on them every day. In fact, even new versions of long-awaited games are now primarily released on mobile platforms. Only in the UK, there are over 10.000.000 mobile players. If you want to play new games as soon as they are released, your best “bet” is switching to mobile gambling. For casual gambling, you can use native apps that can be found on application markets of mobile operating systems. Most of these will provide free gambling games which you can play as long as you want. However, if you want to try your luck with real money games and get the full experience, mobile versions of online casino websites are the way to go. If you are already a member of an online casino, you are ready: Just use the mobile version of that site. However, we advise you to evaluate its bonuses, features, and payment speed. If for any reason, you are unsatisfied with your current casino, you should look for a new one. While finding a new mobile casino, there are many things you need to be aware of. The license, the reputation, the games, the customer support… Since there are hundreds of options out there, it will be hard to evaluate them all. In this regard, we highly recommend using our reviews to find the best place for you. If you are curious about the rest or want to find out the details about a particular casino on the list, please head to our reviews section. Our experienced team evaluates every mobile casino out there and tests every feature. You do not need to spend hours while searching for a new place to gamble: We already did that and now we are sharing our results with you. Just pick a recommended casino from our lists and start playing without worry – it is that easy. Everybody can enjoy mobile gambling, even the old-school players. You just need a good place for that experience and we guide you to the best places. Welcome to the world of mobile gambling: You will love it.